The eyes inform our every moment, even while we sleep. Before we wake, information from the eyes is being received by the hypothalamus in the brain, sensing light levels and regulating our circadian rhythm. Of our five senses vision is generally our dominant sense; thirty to forty per cent of our cerebral cortex is devoted to vision compared to eight per cent for touch and three per cent for hearing. The eyes are complex and intricate organs. Each has an optic nerve which carries signals from the retina to the brain, consisting of a million fibres and the blood vessels that nourish the eyes are very delicate and fine. A high level of antioxidants are required to maintain optimum functioning; interestingly, the concentration of vitamin C in the liquid of the eye is higher than in any other body fluid. 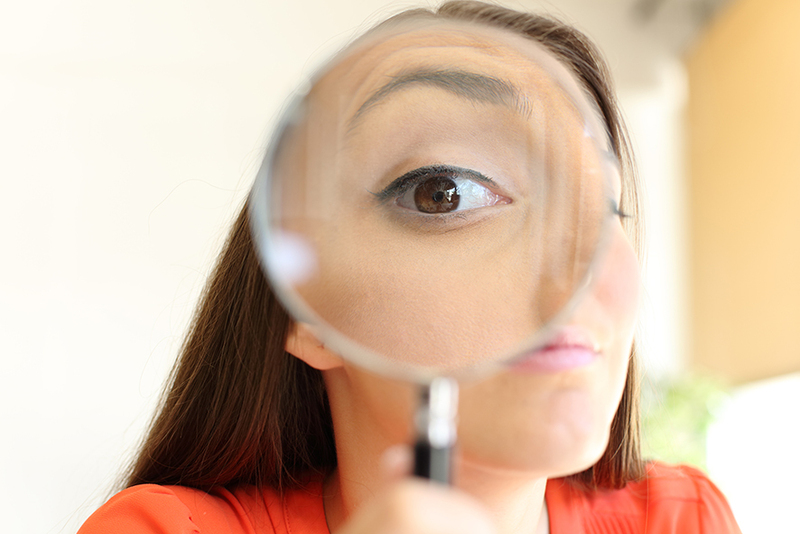 If you’ve noticed a decline in vision quality then it’s important to have an eye test – observable changes in the eye can indicate the health of the body as a whole. But sight need not deteriorate with age and there are some simple ways to ensure continued sharp vision. Many herbs are valuable for maintaining eye health. Some can be used as an antiseptic eye wash to treat conditions such as conjunctivitis or to bathe and refresh congested eyes, allowing clearer vision. 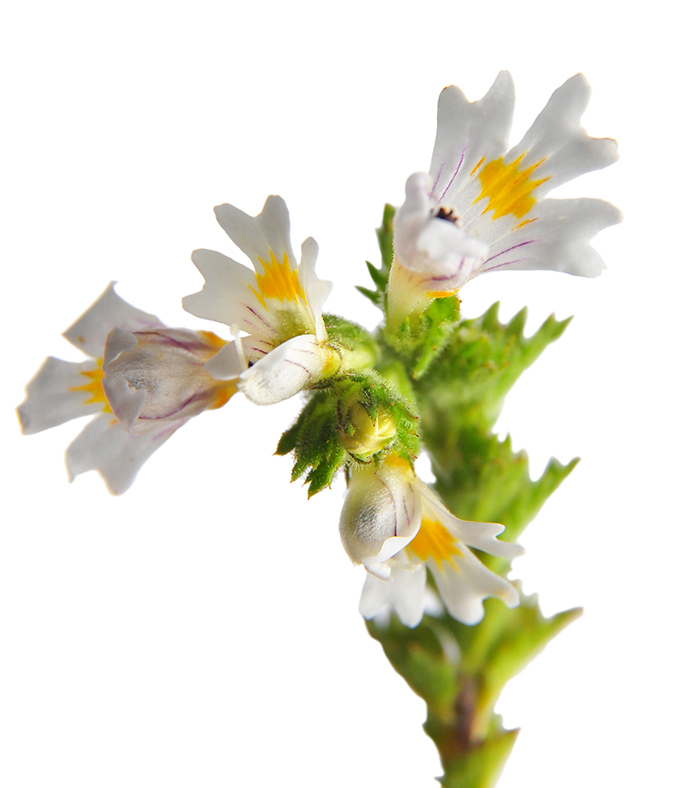 Eyebright (Euphrasia officinalis): As the name suggests eyebright (pictured left) has a reputation as a beneficial herb for the eyes. It is used both internally and externally to treat inflammatory eye prob-lems, light sensitivity, otitis media, eyestrain and watery/itchy eyes. Soothing inflammation, reducing the histamine response and toning the tissues, eyebright is a valuable all round herb for eye health1. 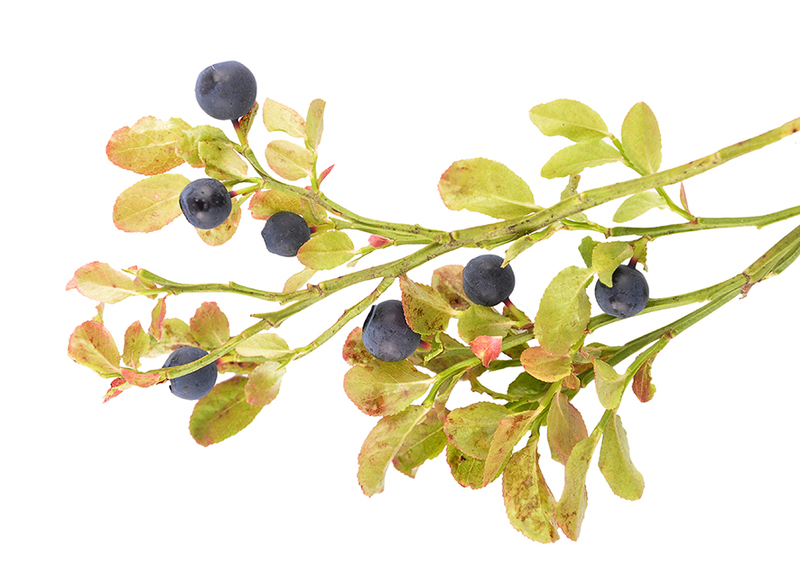 Bilberry (Vaccinium myrtillus): Bilberry (pictured left) contains high levels of antioxidants and extracts have been found to protect nerve cells in the retina, improve the circulation and block the formation of unwanted blood vessels in the eye (a process involved in some diseases of the retina). themselves from free radicals just as we need to. In plants free radicals are formed due to high exposure to ultra violet radiation and as a result of photosynthesis, in humans excess free radicals come about due to environmental stressors (UV radiation, pollutants, and trans fats), pharmaceutical medications and psychological stress. 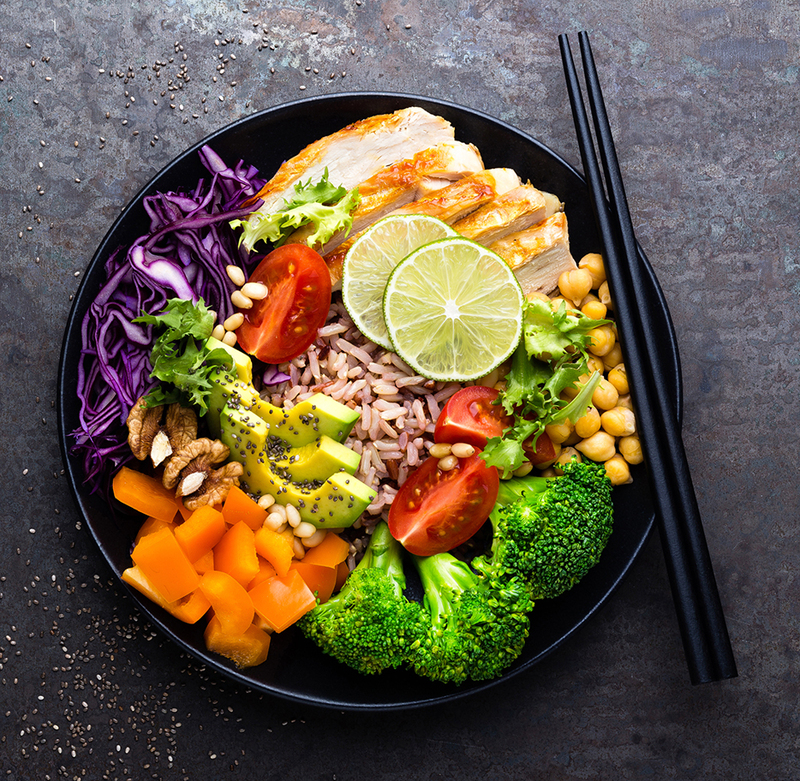 Each day eat a variety of coloured vegetables and fruits – particularly dark leafy greens and orange and red coloured vegetables such as carrots, squash and peppers. Vitamin A, important for maintaining the eye’s light sensor cells, is also found in liver, egg yolks and dairy products. Tip: Carotenoids such as beta carotene (a useful vegetable source of vitamin A) are better absorbed when eaten with fats. One study found that eating an avocado or adding its oil to a salad increased beta carotene absorption by 15 times2. NOTE: The production of free radicals increases with age at which time the body’s defence against these damaging particles becomes less effective leading to progressive damage of delicate cell structures. Ensure your digestion is functioning well so that you can absorb the vital nutrients effectively. Elevated levels of glucose damage proteins, generate free radicals and accelerate aging. Even in people without diabetes (a leading cause of blindness) high glycaemic diets have been linked to an increased risk of macular degeneration and cataracts. Make the effort, even if you’re only cooking for yourself, to make simple healthy meals rather than snacking and forming a sugar habit. Constriction or restriction around the cervical spine impedes the blood and nerve supply to the brain and eyes causing a reduction in visual quality. Addressing any musculoskeletal disorder and developing better neck flexibility can help prevent further damage and improve vision. Eye fatigue after long periods of concentration or working in low light levels is common. The eyes require a high level of nerve activity and efficient blood supply to meet their high nutrient demands. If your eyes feel tired, instead of putting on your glasses and pushing on, take a break. Change your activity for a while (preferably to something that involves moving the body to get the blood flowing) and allow your eyes to rest. Tip: Even on a dull day the light intensity outdoors is far greater than the artificial light indoors. Ensure you have sufficient lighting at your work station or whilst reading by choosing a ‘daylight’ light bulb. Gently close your eyes. Take a few moments to come to your centre, becoming aware of the breath as it enters and leaves the body. Bring your hands together and briskly rub the palms together until you begin to generate some heat. Gently press the warmed heel of the palms against the eyes and allow them to soak up the warmth. Be conscious of relaxing your neck muscles at the same time. Hold the palms in place for a few slow breaths then gradually release, allowing the eyes to open. Would you like to have your iris examined? The Herbal Clinic is currently offering unique, FREE ‘snapshot’ iridology sessions. These 30 minute consultations include an examination of the iris and on screen analysis of a photograph of your iris to help you understand the findings. If you would like to better understand your own unique constitution and how to best tailor your diet and lifestyle call the clinic for more information. Please note that we are a busy clinic so this is a limited offer, subject to availability between 1st October 2018 and 30th January 2019.